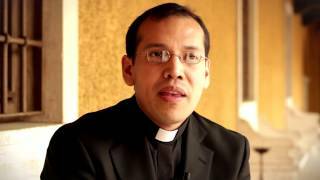 When someone asks for admission to the Priestly Society of the Holy Cross, he does so through a deep conviction of God’s call to seek sanctity in the middle of the world according to the spirit of Opus Dei. As the vocation is the same for all the members, the effort to seek sanctity has to be likewise the same. Thus there are not distinct grades of membership, but rather different circumstances that are reflected in one’s availability to take part and assist in the activities of the Society. Numerary and coadjutor members are drawn from the Prelature’s lay faithful (Numeraries and Associates), who receive Holy Orders after the necessary preparation. They are incorporated into the Priestly Society of the Holy Cross upon their ordination as deacons. As for priests already incardinated in a diocese, incorporation as an Associate or Supernumerary will depend on their greater or lesser possibility of assisting the association (especially in helping other diocesan priests spiritually), in accord with their personal circumstances of health or character, their pastoral tasks, family obligations, etc. Logically, these priests belong exclusively to the presbyterate of their own diocese. 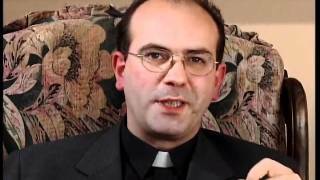 They do not become part of the Prelature’s clergy (made up only of those incardinated in it), nor do they have a hierarchical bond with the Prelature or depend on any ecclesiastical superior in Opus Dei. Their relationship to the President General of the Priestly Society of the Holy Cross (the Prelate of Opus Dei) is of an associative nature. That is, the President has no governmental authority over the diocesan priests who belong to the Society, but only whatever role the head of an association of clergy would have. Therefore, the Society’s priests who are incardinated in their respective dioceses, while having the same call to live the spirit of Opus Dei as any of the faithful of the Prelature, are in no way under the Prelate’s jurisdiction. In the Priestly Society of the Holy Cross there is only the normal discipline that binds any kind of association in view of the obligation to observe its own norms and customs, which refer only to the spiritual life. 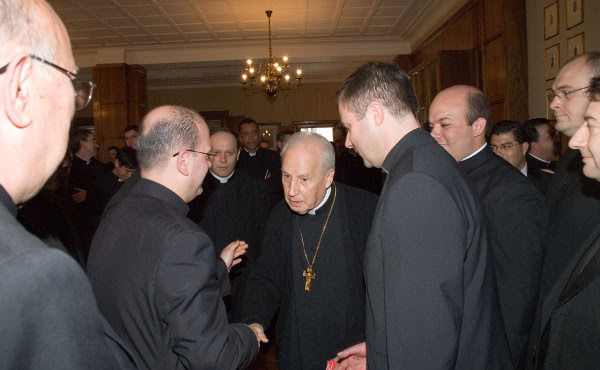 The juridical and affective bond with the diocese in which they are incardinated and with the other members of their presbyterate is reinforced, since the spirit they receive from Opus Dei leads them to seek Christian holiness and human perfection precisely in the faithful discharge of their priestly duties. Those who ask for admission to the Priestly Society of the Holy Cross must stand out for their love for their diocese, their obedience and veneration for their bishop, their eagerness to promote vocations to the seminary and other institutions in the Church, and their desire to fulfill with maximum perfection their ministerial tasks. At the same time, they must promote in a positive way fraternity among all the members of their presbyterate, as well as hierarchical communion with their own bishop and with the other pastors in the Church, especially the Roman Pontiff. Without being members of the Priestly Society of the Holy Cross, other priests may take part in the means of formation offered, assist in the apostolates of the Prelature and the Priestly Society with their prayers, alms, and, if possible, with their pastoral ministry. These priests are called Cooperators. 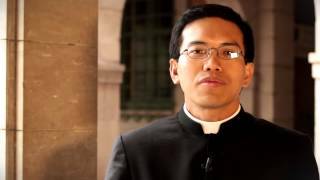 Dennis: "Your prayers sustain us priests"